Super easy quilt and a great way to highlight your favorite collection. In this one session class, you will construct one block. 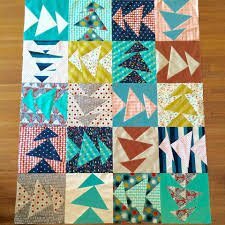 Put all of your blocks together and have a very unique quilt.